The Pacific Energy Center Tool Lending Library is an amazing resource. If you are a California Public Utility customer or doing work for such a customer, you can borrow instruments to measure and log data in your facilities at no charge. ​The library has thousands of instruments ranging from simple hand-held multi-function tools to data loggers to power loggers to air data multi-meters to transient time ultrasonic flow meters. Even if you don't live in California, the library's inventory viewer is a great way to learn about what types of instrument you might use to measure a particular parameter and who makes them. And their Application Notes are great resources for learning how to properly go about taken different measurements. 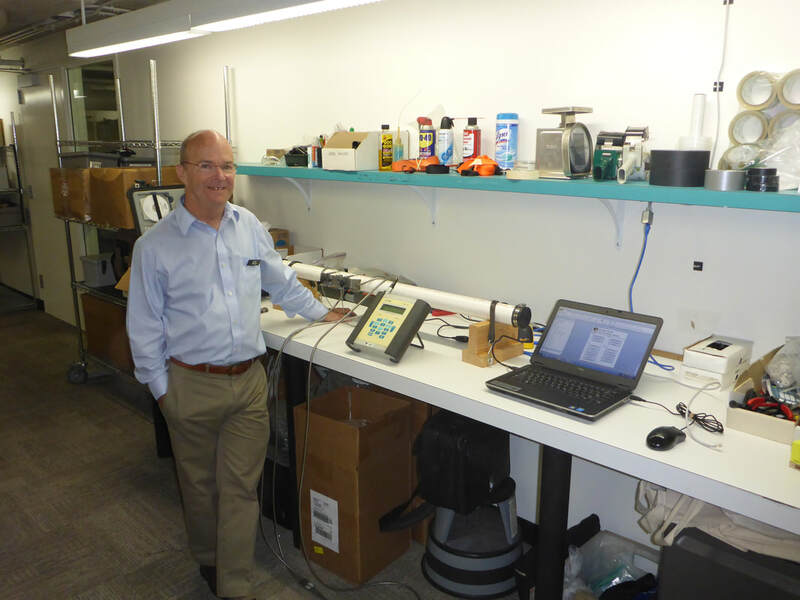 Tool Lending Library Coordinator Bill Pottinger with one of the library's ultrasonic flow meters. Recently, Bill Pottinger retired and his assistant, Mary McDonald has stepped in to take his place. As a result, Mary's former position as a Energy Audit Equipment Specialist is open and the Energy Center is currently taking applications to fill it. So, if you live in the Bay Area and are looking for a way to get into the technical side of the commissioning industry, this might be a great way to do it.